It was the summer of 2009, and the annual conference of the Association for Education in Journalism and Mass Communication was in town. A group of us went out to dinner at Legal Seafoods at the Pru. Among them was Tom Fiedler, dean of Boston University’s College of Communication and the former executive editor of the Miami Herald. Fiedler held us in thrall with a blow-by-blow description of his best-known story: the sinking of Gary Hart’s 1988 presidential campaign aboard the good ship Monkey Business. It was the Herald that staked out Hart’s townhouse in Washington and learned that a woman named Donna Rice had been staying with him. Hart soon dropped out of the campaign; he later re-entered it but failed to gain any traction. 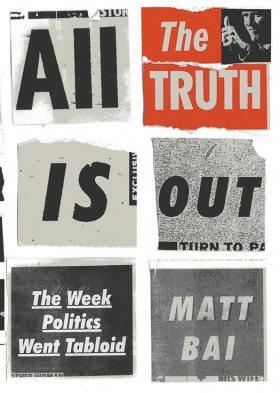 Last month The New York Times Magazine published a long excerpt from a book by Times political reporter (and Boston Globe alumnus) Matt Bai arguing that the Herald’s pursuit of Hart represented something new and disturbing in American politics: Journalists in the skeptical post-Watergate era were no longer willing to give politicians a pass on any misbehavior, including their sexual peccadilloes. Perhaps the most damning part of Bai’s piece was his discovery that Fiedler, who had long cited Hart’s challenge to “follow me around” as justification, had actually not learned of that challenge until after the Herald’s stakeout. For Bai, much hinges on the precise timing of this quote. He claims that the Herald used the “follow me around” challenge to justify its pursuit of Hart. This was dishonest, he suggests, because we couldn’t have known about it before the stakeout — the quote appeared in the [New York] Times on May 3, the same day our story ran. What Bai doesn’t acknowledge is that we didn’t need the [E.J.] Dionne quote for justification. A week or so before the Herald and the Times’ articles ran, in an interview with me, Hart had been similarly dismissive of the womanizing allegations, saying, “I’ve been in public life for 15 years and I think that if there was anything about my background that anybody had any information on, they would bring it forward. But they haven’t.” The Hart quote I published wasn’t as dramatic as the one Hart provided to Dionne, but its intent was the same. And it was a lie. That’s not news? Fiedler’s purpose is not to discredit Bai. Indeed, Fiedler calls himself “a great admirer of Bai’s talents as a journalist and a writer.” But Fiedler does manage to provide a different context for why and how Hart’s downfall was covered. If you read Bai’s article, you owe it to yourself to read Fiedler’s as well. Dan – When I read the excerpt from Bai’s book, I knew that you would comment, and anticipated that you would, at the very least, soften the impact on Fiedler. My view is that Fiedler’s comments are disingenuous, and represent the kind of slippery rationalization that good journalists would never allow others to get away with. I think it is imperative that journalists hold themselves to the same standards they expect of others. And, in that context, it is clear that Fiedler milked the later dramatic quote in his own defense until he could no longer, and then invented another rationale for his behavior. He wants it both ways, and should no more be allowed to have it than anyone else. Let me make sure I get this: you are commenting on Fiedler’s response to Bai’s take on what Fiedler did/didn’t do? Whoa, talk about a journalistic echo chamber! @Bill, that’s what we do here at Media Nation. Maybe I can get Fiedler to post a comment reacting to my reaction, and then Bai to react to Fiedler.